Structure change: Devang Desai says mining is the next big thrust area for the group. You are thinking of merging the promoter entities of Mundra Port and Special Economic Zone Ltd with Adani Enterprises. Why you are contemplating that? Adani Enterprises has been positioning itself for the last two-three years from a pure trading company into a much more asset-structured (one) in the last transformation that has happened. This is a continuing exercise. What we had done was that we had consciously put all our businesses under enterprises—meaning our existing trading portfolio, including all the new businesses, power generation included, which was already resting in Adani Enterprises Ltd.
Mundra Port was an asset which was not part of Adani Enterprises. This was being debated in terms of whether it would make sense to bring everything under one umbrella. 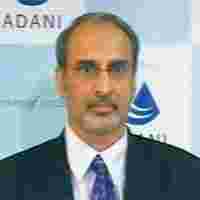 Finally, in the last board meeting, what we have done is that we have brought in all the entities of the group under Adani Enterprises Ltd.
What it means is that the promoter holds 81% stake in Mundra Enterprises, that 81% gets merged with Adani Enterprises and that is how Mundra Port becomes the subsidiary of Adani Enterprises Ltd. It, of course, does not affect the shareholders of Mundra Port. It is essentially an internal structuring. But it has given a tremendous amount of signal in four ways. One is that we have simplified the structure; in future all the ventures of Adani will come through Adani Enterprises only. So that means an investor has a choice to either get into a specific business, which will get listed over a period of time, whether it is power, Mundra, mining, etc., or you can be a part with the promoter in the parent company, which has its own trading profits and it has its continuing development initiative that it takes. It is a broader signal. Is it a prelude to a proper merger happening, which will affect shareholders of Adani? The process of Adani promoter entity getting merged will take place in the next three-four months. So Mundra Port becomes a subsidiary of Adani Enterprises. That is process that has to be gone through the merger. Then the whole structuring will have effect. The major rationale is that we have a lot synergy between the assets of Mundra. Mundra is a catalyst for all our businesses in the enterprises. We have coal trading, which is the largest today; we do about 20 million tonnes of coal trading every year. We have edible oil refinery in the agriculture sector. We have power generation, our biggest initiative that is also located in Mundra. So there is tremendous synergy in terms of commonalty of processes in terms of value driver for these entities also. So that made sense for us to from a synergy angle. Then, of course, the enterprise is transforming; it will get into a very different scale, size and visibility. You would have a very different market cap, possibly an F&O (futures and options) candidate or an index of sorts and it will improve liquidity over a eriod of time. What is the full restructuring plan? Is it an option to merge Mundra Port and Adani? No, it is only the Mundra Port’s promoter entities. So we have entities that hold Mundra Port, that is 81%. Those entities will merge with Adani Enterprises. So Mundra Port shareholders are not affected by it. But is it something that the management could consider in the coming few months, merging both the companies? No, it would remain as a subsidiary. If you see the structure, Adani Enterprises holds 70% of Adani Power, it holds 100% of Adani Mining, it will now hold 81% of Mundra Port; that is the structure. Each one would be separately listed as and when required and they would continue that way. You are looking at doing a QIP (qualified institutional placement) as well. How large might it be? What we are seeing that in terms of the overall plan, mining is the next big thrust area for the group. Adani Enterprises holds 100% of Adani Mining. We have a 75 million tonnes of mining various contracts on hand today, which would be unfolded over the next three-five years in terms of the optimum size scale that we will reach. We have more initiatives in mining... and we feel that is an area which is the next big thing after power that we have done. So that would require an additional capital. We have other subsidiaries in the form of agriculture, oil and gas and that you would require some amount of contribution there too. We would retire some of the debt in the enterprises, which is short-term debt, which we would like to reduce it at this stage, reduce the leverage in Adani Enterprises. So in the next three-six months, we are talking about two programmes; one is a rights issue that we are planning up to Rs1,500 crore and we are talking about Rs4,000 crore. We have enhanced from a Rs1,500 crore QIP (Qualified institutional placement) earlier and now it is Rs4,000 crore. The total programme will be about Rs5,500 crore. In the overall process with the Mundra promoter entity being merged, we feel that the overall stake, which is today at 75% of the promoter, we would come back to about 75% after these programmes are done. So it should also be dilution neutral for promoters also. You will do a QIP and a Rs1,500 crore rights issue? We will also do a rights issue for which we have taken the boards approval. A committee has been formed to analyse the pricing. We should be doing it in by next 15 days. The committee would announce what sort of pricing is there in the rights. QIP of course is market-linked, so that also the bankers are being appointed. They will decide in terms of the timing when to launch. That also we would want to complete in the next six months.